As Vice President, Dave is responsible for the leasing, sales, and service for the entire state of Florida. Dave started working his way through the ranks of Efficiency in 1999, supporting the opening of the Tampa location. 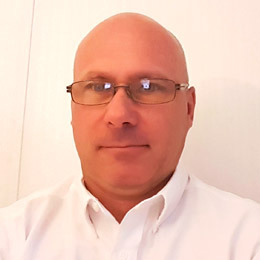 Prior to joining Efficiency, Dave’s two decades of experience includes working with all aspects of medium and heavy-duty trucks. He has worked for International Trucks and completed training with the Ohio Diesel Technical Institute, Lincoln Welding School as well as the New York State Fire Academy. Dave is originally from Amsterdam, New York and now lives in Lakeland, Florida. When he is not working, he enjoys traveling, practicing arboriculture, polka dancing as well as spending time with his son Jacob and Daughter Ariel.